Is “Say on pay” the only way? Shareholders having a “Say on Pay” is gaining momentum globally, raising the standards of remuneration disclosures. If Singapore companies do not improve remuneration disclosures, then investors could prompt regulators to consider introducing Say on Pay. The call for shareholders to vote on executive salaries – or simply, Say on Pay – has been gaining traction in most western jurisdictions in the aftermath of the global financial crisis of 2008. This has been driven in large part by the perception of excessive executive pay, particularly in the financial services sector. In recent years, the social and political changes have given fresh impetus to improve corporate governance and remuneration-related disclosures. 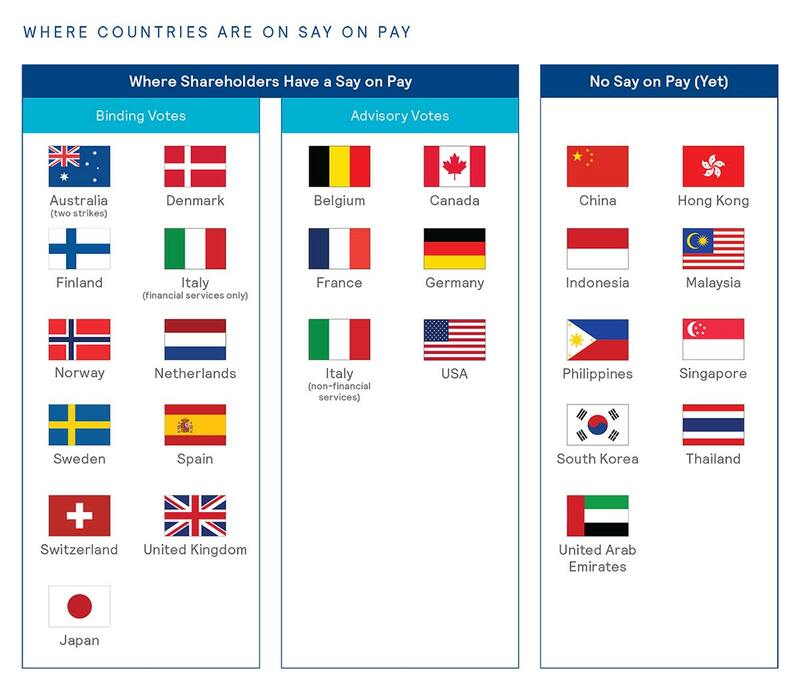 However, the scope and implementation of Say on Pay varies across different countries. Let us shape your executive compensation and rewards programs with Mercer’s expert consulting and comprehensive data, trusted by many firms before you. Improve your ability to attract, retain, and motivate key executive talent. Align executive pay with your organization’s strategic needs and relevant talent comparators. Realize value in ownership transactions. Keep compliant with regulatory, legislative, and shareholder requirements and guidelines. Get the full "Is “Say on pay” the only way? " paper.